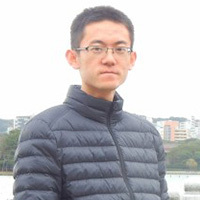 Boran Wu is currently a joint Ph.D. candidate in environmental science and engineering at Colorado School of Mines, CO, USA and Tongji University, Shanghai, China. He received his bachelor’s degree in environmental engineering from Tongji University, Shanghai, China in 2014 and studied as a visiting student at Stony Brook University in 2016-2017. His researches focus on 1) Process development and relevant mechanism investigations for enhanced dewatering; 2) Nitrogen evolution and nutrient recovery during hydrothermal liquefaction of sewage sludge; 3) Hydrothermal destruction of refractory fluorinated contaminants. Perfluoroalkyl substances (PFASs) have been used in a variety of products including nonstick coatings, stain-repellants, paper packaging, and aqueous film-forming foams (AFFF). Repeated use of these PFASs products has led to their widespread distribution, toxicity, and potential for bioaccumulation. Due to the environmental risk and persistence of PFASs, many attempts including UV-sulfite, adsorption, drying + incineration have been done to realize the defluorination. However, there is still lack of attempts regarding to using hydrothermal process directly for the wet PFASs-impacted waste. This study investigated the potentials of hydrothermal treatment with amendments (e.g., acids, alkalis, oxidants, reductants) in the defluorination of perfluorooctanesulfonate (PFOS) as typical refractory perfluorinated compound. Primarily, the amendment screening experiments observed a wide ranging extent of defluorination from near zero to ~80% defluorination, but the main mode of action for all the effective amendments was directing to the formation of highly basic conditions. Therefore, hydrothermal treatment with sodium hydroxide was proposed to be an effective and simple approach to destruct PFASs. Accordingly, the optimization of this newly developed process was conducted in terms of amendment dosages, reaction temperatures and kinetic parameters. Also, the potential reaction pathways will be further discussed based on the liquid chromatography with quantitative time-of-flight mass spectrometry (LC-QToF-MS) analysis.